Even though I have combination/oily skin, its still quite dehydrated. 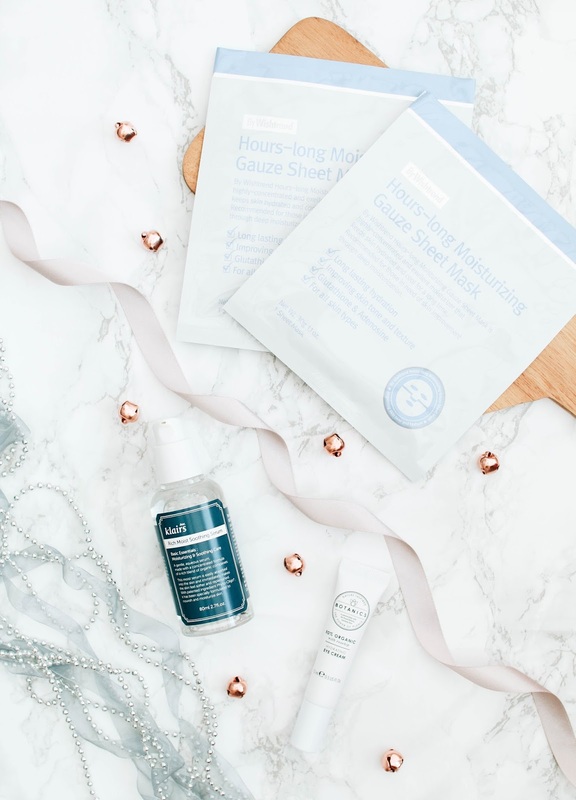 I mean, this is probably down to the fact I don’t drink enough water (oops), but I have a few products that really help to inject a bit of hydration back into my skin. I was recently sent a few bits from Wishtrend, which mainly sell Korean beauty items. I’ve heard so many good things about Korean beauty/skincare from other bloggers, so I was excited to try a few bits. One of the best things for hydrating the skin is definitely a good face mask. These Wishtrend Gauze Sheet Maks* are such a dream to use. I left this on for 40 minutes and let my skin soak up all the goodness, and my skin felt so hydrated, plump and soft afterwards. Loove these! Another product thats great for hydrating, is serum. I’ve been trialling the Klairs Rich Moist Soothing Serum*. I love the simplistic packaging for this, and the amount of product you get for your money. I think a lot of serum’s come in a 50ml bottle or less, but this is 80ml which is fab. I’ve found this sinks into the skin super quickly, and leaves no residual at all. My skin literally drinks it up, which is a good sign for sure. Finally, something I’m not used to using but thats eye cream. I’ve been using the Botanics Organic Hydrating Eye Cream*. I don’t quite know why its taken me this long to start using eye cream, but this feels so soothing after a long day. I’m not sure I’ve seen much of a difference in terms of my under eye bags, but that area is certainly less dry. Definitely going to continue using this, and hopefully see some results! What products do you use for hydration?